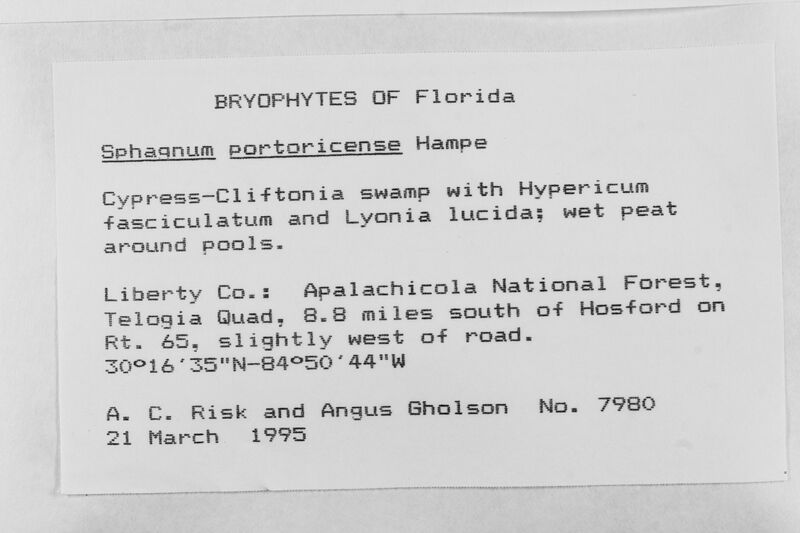 Locality: United States, Florida, Liberty, Apalachicola National Forest, 8.8 miles south of Hosford on Rt. 65, slightly west of road. Habitat: Cypress-Cliftonia swamp with Hypericum fasciculatum and Lyonia lucida; wet peat around pools.